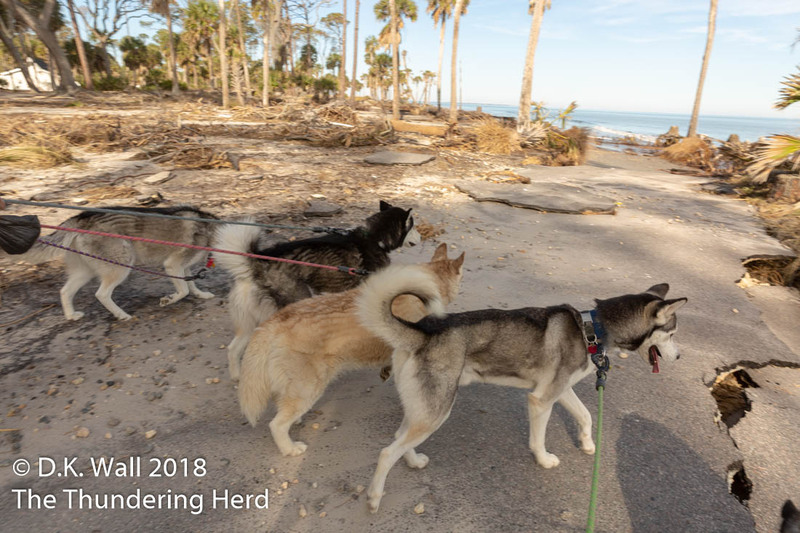 We arrived yesterday at Hunting Island State Park and were surprised how much hurricane damage was still visible from 2016 and 2017. Why is this tree on the ground? We last visited this park in February 2018 shortly after the park reopened from Hurricane Irma. And the park had been open only a month before Irma due to the damage from Hurricane Matthew in 2016. You can see our post about it here. They were here last time – ripped up by the roots. 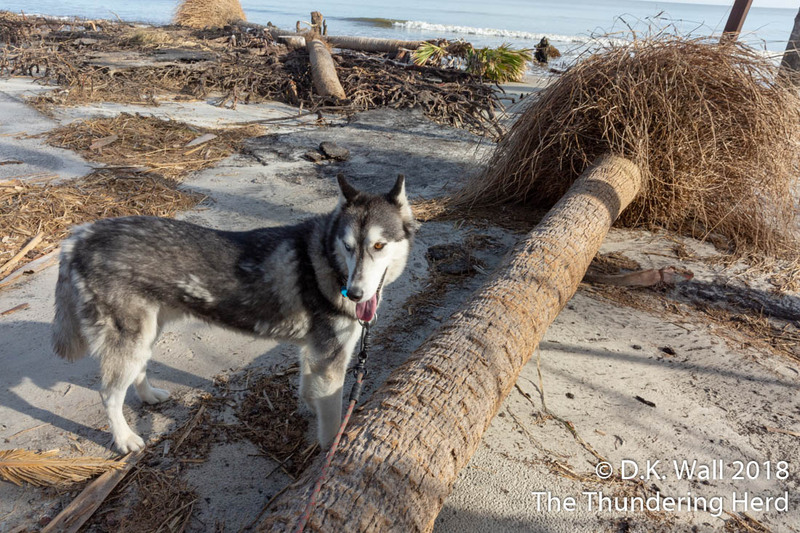 The state park service has done a tremendous job cleaning up the damage from these two powerful storms, but it’s still amazing to see the destructive force of Mother Nature even after all of this time has passed. Wow, this old road bed washed away. The Herd really was amazed at how much damage Mother Nature can do. It’s sad to see how much damage you can still see. Here’s hoping no more hurricanes will cause anymore damage. 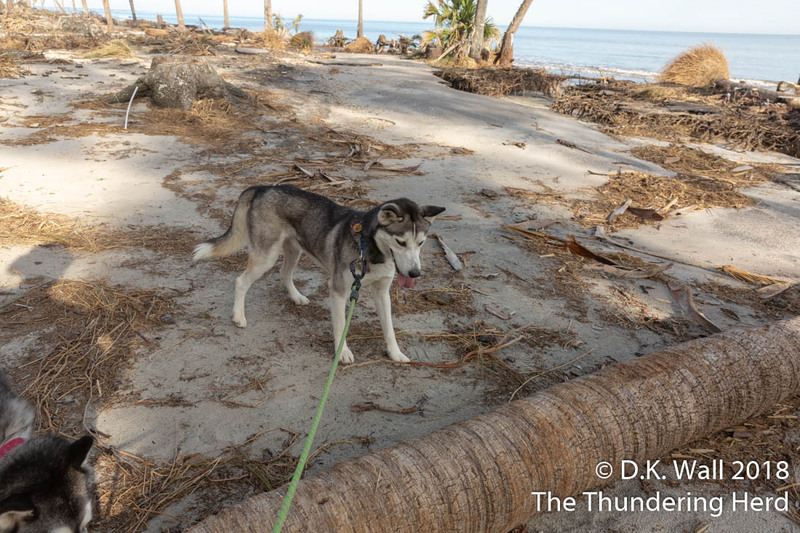 It is amazing and frightening what destructive power Mother Nature has… I’m so glad the Siberian inspection team is on the scene!! !